The West Coast’s Largest Pet Expo Returns to Orange County Featuring Cats and Dogs, plus Fish, Birds and Frogs…and More! : This weekend!!! You are here: Home / Featured Events / The West Coast’s Largest Pet Expo Returns to Orange County Featuring Cats and Dogs, plus Fish, Birds and Frogs…and More! The West Coast’s Largest Pet Expo Returns to Orange County Featuring Cats and Dogs, plus Fish, Birds and Frogs…and More! This weekend!!! Thousands of Animals and the People Who Love them to Gather at the OC Fair & Event Center, April 27-29! Showcasing everything you need to know for a happier, healthier pet. America’s Family Pet Expo returns to the OC Fair & Event Center in Costa Mesa (88 Fair Drive, Costa Mesa 92626) Friday, April 27 – Sunday, April 29, 2018. 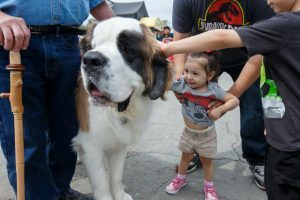 The annual family-friendly event features all creatures cute and cuddly, furry, feathered and scaled of all sizes, shapes and colors. 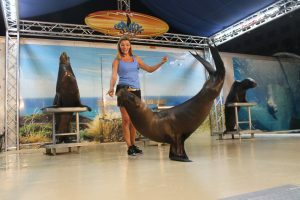 New to America’s Family Pet Expo for 2018 is the Sea Lion Splash Show; a unique mobile aquatic experience combining both marine fun and environmental education. 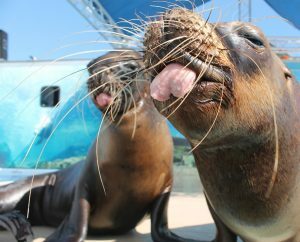 Sea Lion Splash Show features rescued sea lions from both California and South America. Ready to thrill and excite an audience of all ages, the sea lions balance balls, shoot hoops, dance, shake their flippers, and even do a handstand or two. America’s Family Pet Expo will include on-site cooking demonstrations. Hosted by JustFoodForDogs, the “Find Out What’s Cooking” talks will feature lessons on how to create homemade meals to promote optimal health, longevity and well-being for dogs. Returning favorites to America’s Family Pet Expo include Repticon, reptile show and sale, offering hundreds of common and rare species of reptiles such as lizards, snakes, and spiders. 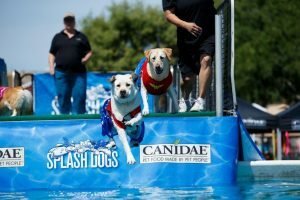 Plus, the ever-popular Splash Dogs and The Great American Petting Zoo, family fun the whole family will enjoy. General Admission, $15.00; seniors 60 and over, $13.00. Children 6-12, $10.00. 5 yrs and under, free. Active and retired military free with ID. Show hours: Friday 10am-6pm; Saturday 10am-7pm; Sunday 10am-6pm. OC Fair & Event Center, 88 Fair Drive, Costa Mesa 92626. Facility charges $8.00 parking. Kindly leave all pets at home. For more information and to purchase tickets online visit www.PetExpoOC.org . America’s Family Pet Expo is created, produced and managed by World Pet Association, Inc., a 68-year-old nonprofit organization dedicated to promoting responsible pet care. Credit: America’s Family Pet Expo.